I really miss teaching beginning writers, especially second and third graders who are often pleasantly surprised with their finished products. Making writing fun, interesting, purposeful, and connected to real life is crucial in keeping students engaged in the process. 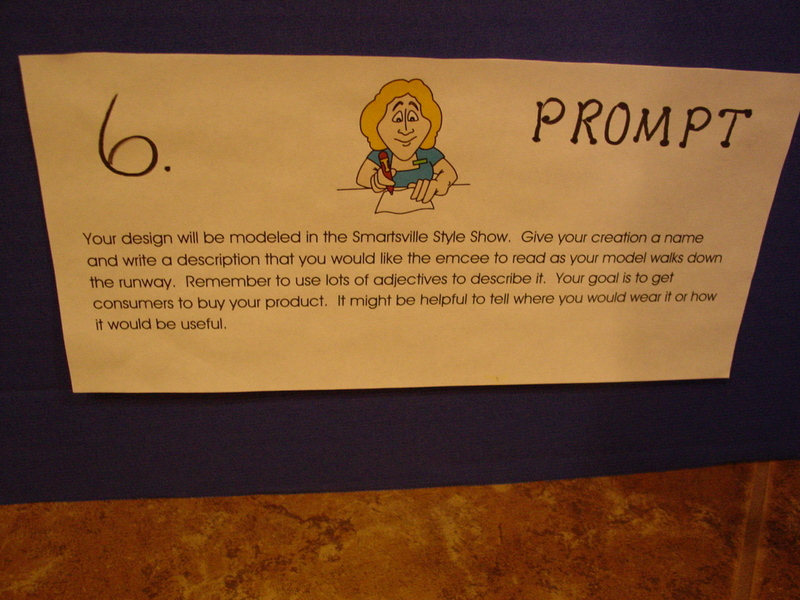 Today, I’m sharing one of my favorite writing projects for third grade students. 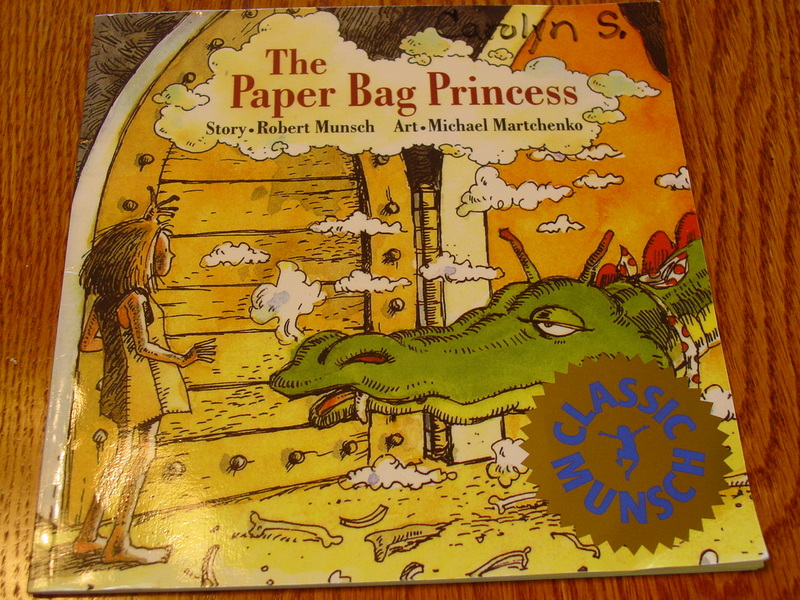 It evolved from a delightful book, The Paper Bag Princess, written by Robert Munsch and illustrated by Michael Martchenko. It’s a wonderful book to include in a literature circle because it has tons of discussion points, higher level thinking opportunities, and subtle humor. I won’t give away the story. If you haven’t read it, you really should. At one point, the sympathetic character’s castle is burned, leaving her with nothing to wear but a paper bag. Hmmmm. What could one do with a paper bag? Do you see a writing center coming into view? 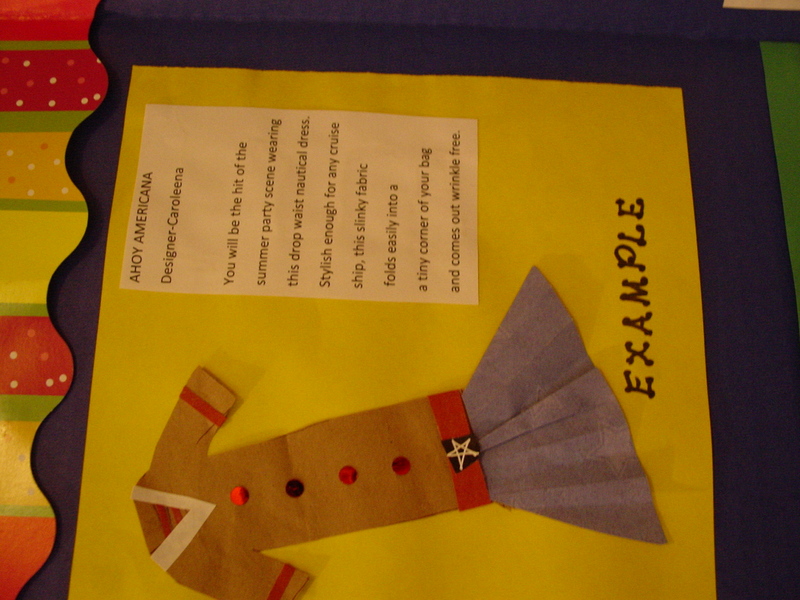 The only supplies needed are paper bags, scrap booking paper, construction paper, foil, buttons, any leftover craft supplies like sequins, feathers, lace, etc., paper and pencils. All the instructions are written and posted on the board for you to enjoy. There are so many core curriculum connections, here, that you could stay busy for hours just making the connections. Construct a rubric if you wish. 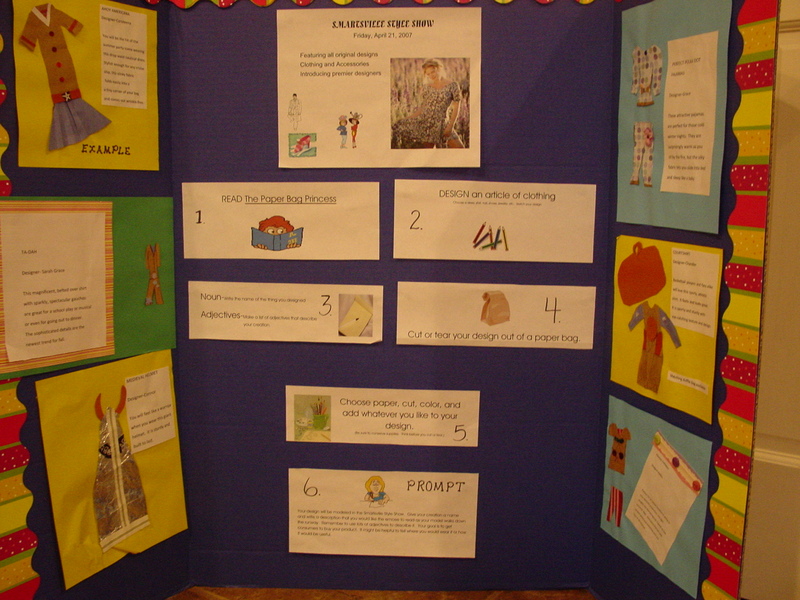 Except for the example,these are real projects, designed, constructed, written about, and presented by end of the year third grade students. Typing was done by a volunteer to save time, but could easily be added to your computer center. 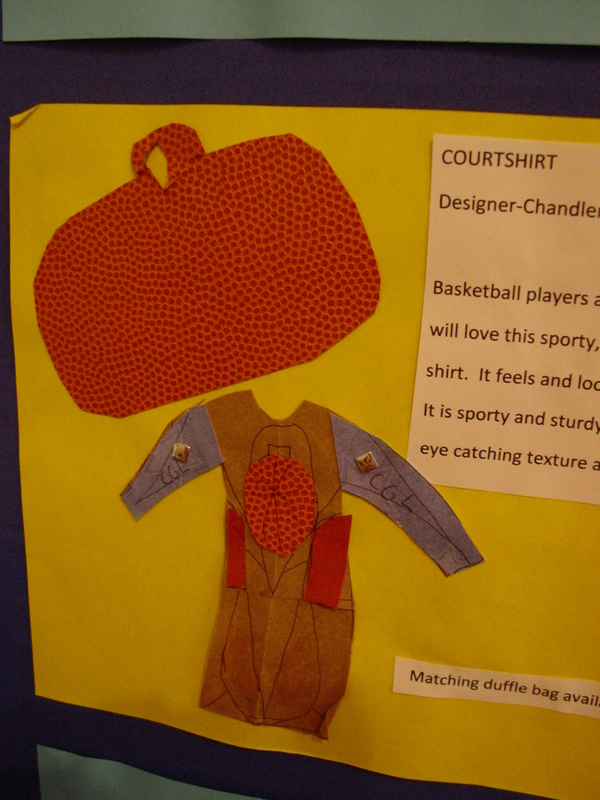 See, even boys get involved when they can design athletic shirts and bags. Have some fun with writing this year!